Leave data integration is becoming more complex as the types of analytics requested become more sophisticated. But the right integration database can help you get high-quality answers to your most pressing questions. Included are real examples from companies such as Chevron and L.L. Bean, articulating the results they were able to achieve with an integrated database. 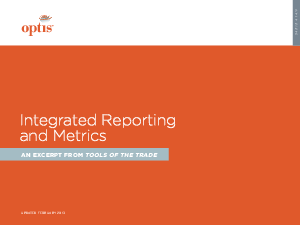 This excerpt also includes employer checklists to help companies compile data from the right sources and see the types of reporting and metrics available after integration.